Success does not happen by chance. 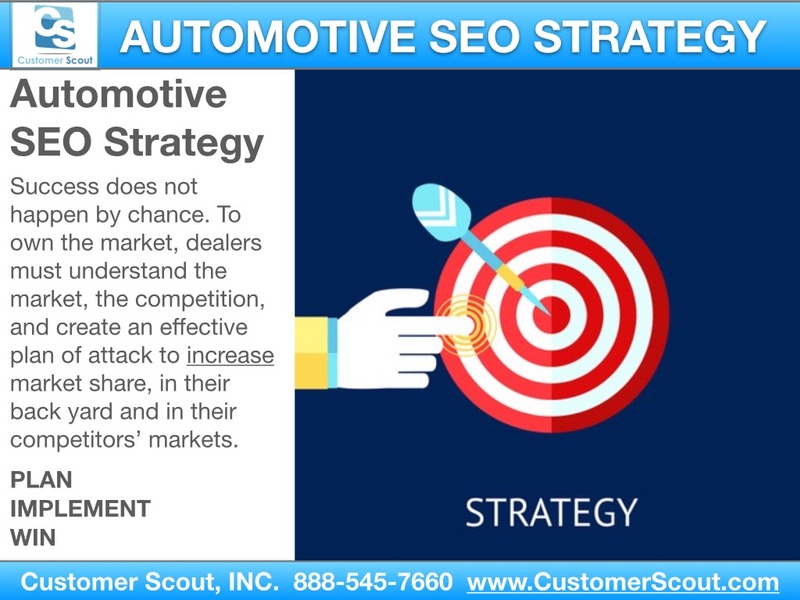 To own the market, dealers must understand the market, the competition, and create an effective plan of attack to increase market share, in their back yard and in their competitors’ markets. 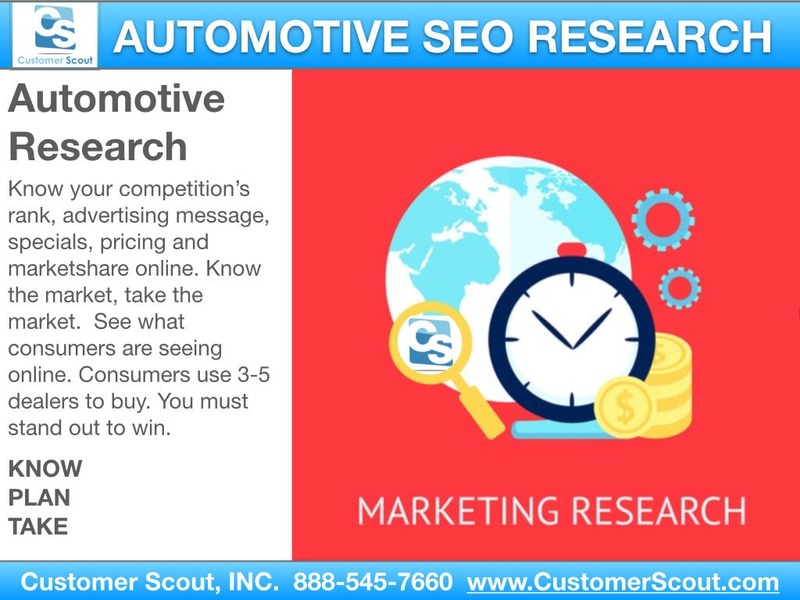 Know your competition’s rank, advertising message, specials, pricing and marketshare online. Know the market, take the market. See what consumers are seeing online. Consumers use 3-5 dealers to buy. You must stand out to win. Understand where you current are with reporting. Know what works and what does not. Increase advertising that does work. See true results to make real decisions in the future. 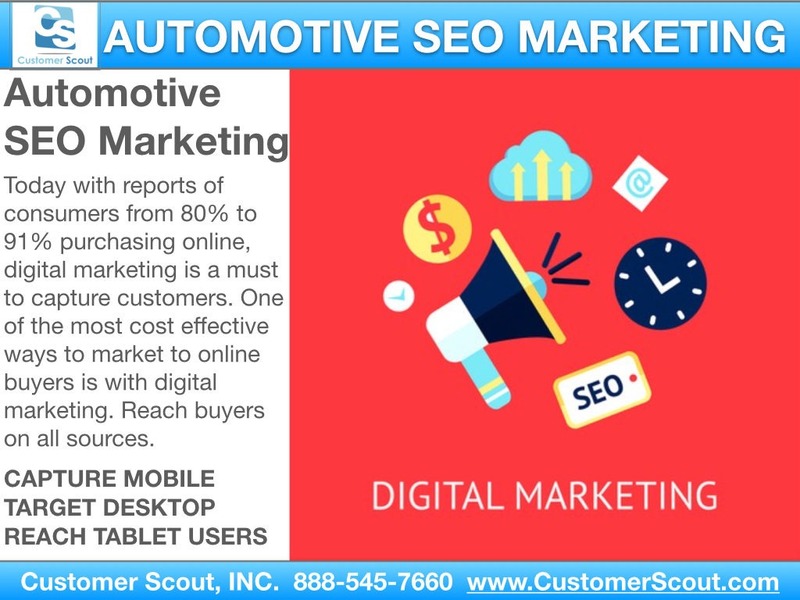 Today with reports of consumers from 80% to 91% purchasing online, digital marketing is a must to capture customers. One of the most cost effective ways to market to online buyers is with digital marketing. Reach buyers on all sources. Take market share from competitor markets. Get in front of more buyers. 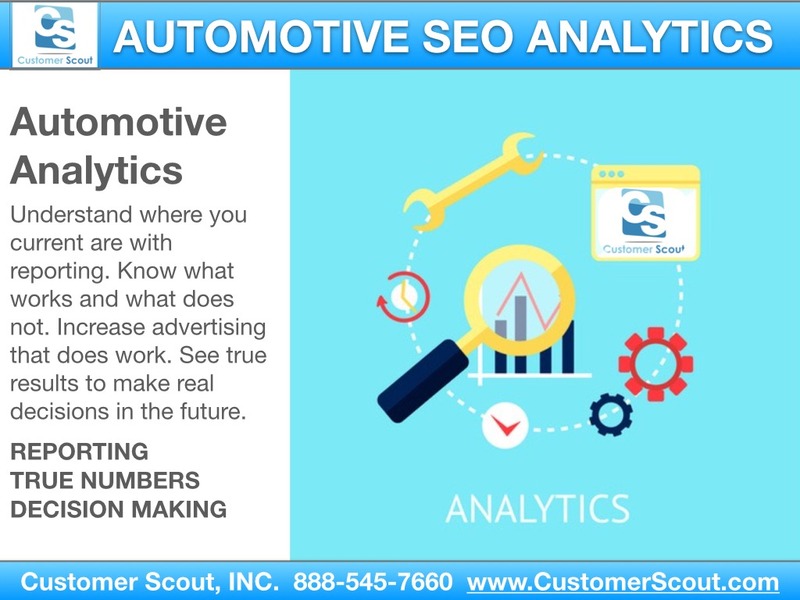 Request a No-Obligation consultation with Customer Scout, INC! 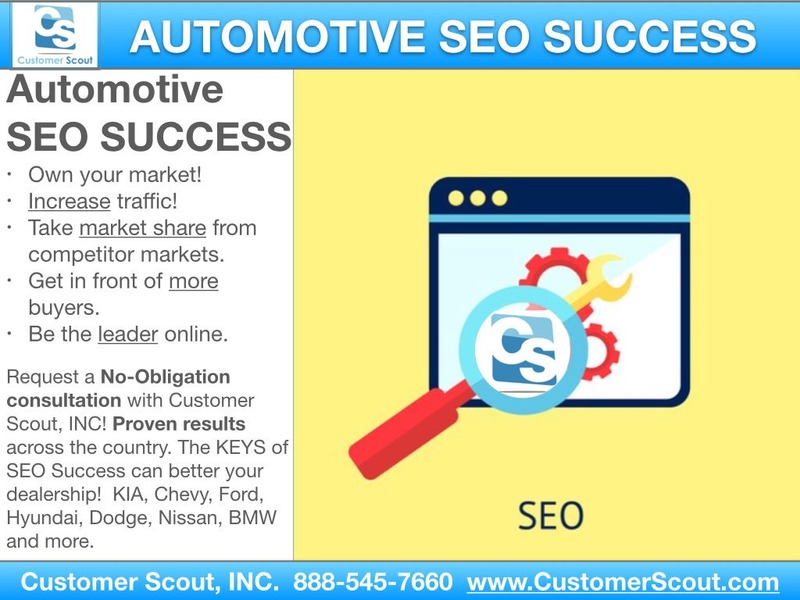 Proven SEO results across the country. 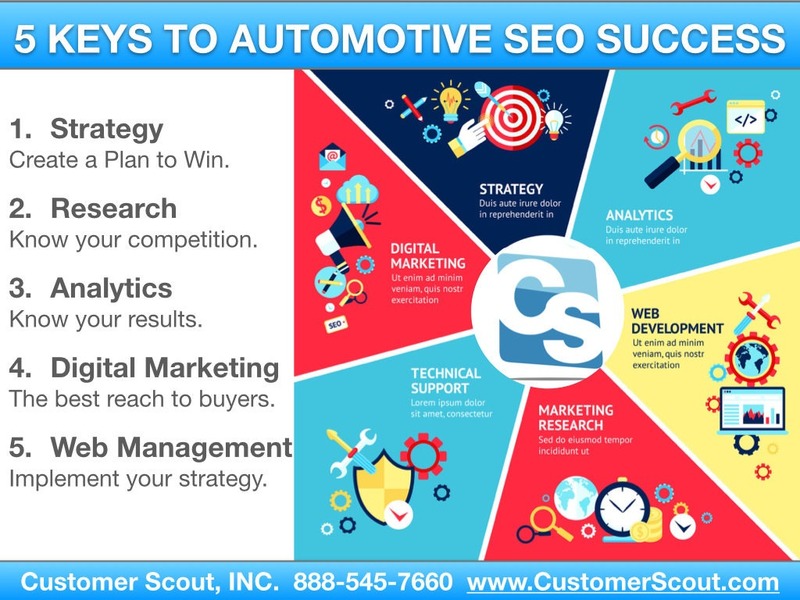 The KEYS of SEO Success can better your dealership! 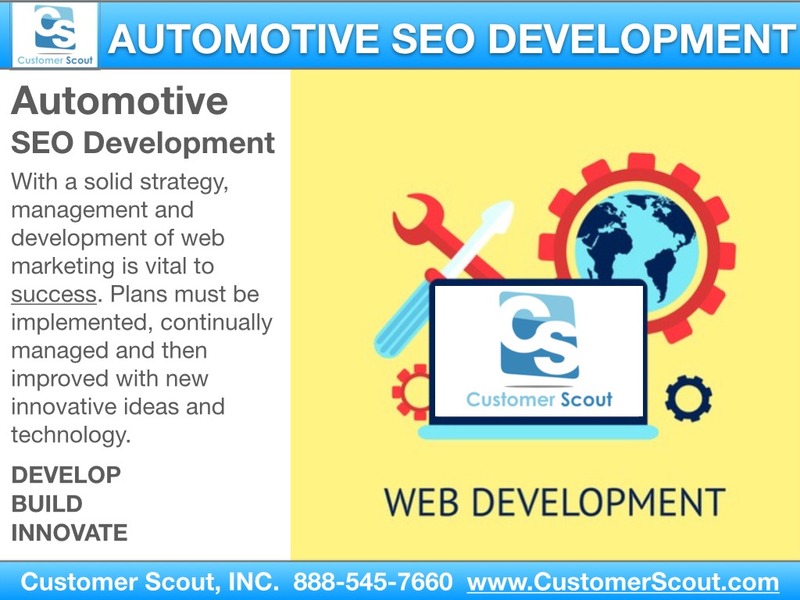 KIA, Chevy, Ford, Hyundai, Dodge, Nissan, BMW and more.